Phase Lengths: 48 hour phases, with a random mid-phase event. Sci Fi Simulator is a combination of pop-culture science fiction, role playing, strategy, colony management, and cooperation. The goal of the Sci-Fi Simulator is to work together with a group of councilors to create a self sustaining colony. Obstacles can arise, alien invasions, storms, famine, drought, and internal political strife. The objective of the players is to work together to solve the problems the colony may face. 1. Each player will contribute a minimum of ten substantial posts and a vote per phase. phases are 48 hours. Players can opt in or out of the game as needed. This is a game which requires a strong level of involvement. 3. There will be no mechanic in game which encourages killing or harming other councillors. There are no secret wincon's or agendas which require you to harm your fellow councillors. The GM will not create any scenarios which require you to fight or kill fellow councillors. however, situations may arise regularly where a councillors life is at risk, or you may have to engage/kill an NPC. 4. Legislation is voted upon and submitted to a charter, or (supercomputer) at the end of each phase. failure to submit legislation officially can have dire consquences. 5. Each player gets a unique role. you can die in the course of the game, and also rejoin as a new character if you wish. all characters will have unique abilities, and talents. If a character ever dies for any reason, whether it is an NPC friendly to the colony, or an active player character, the colony suffers a -1 to morale. I loved this game before. I haven't read the rules yet but I think brainbomb's games are always the best. Ugh, I’d love to get back into the simulator scene but the recent ones have all been when my schedule is busiest. :| Does rule 3 mean we can't give proposal to execute a councillor? 10 substantial posts might be a bit too many for some though. I suggest getting creative with being covert about it. For example, if brainbomb recommends bringing small pox blankets as a joke and then someone actually does it. Though, the last sentence of rule 5 is unforgiving enough that it's probably not a good idea either way. PAVONIS POST NEWS: Parmian Scientists have discovered a unique mineral in the Vela system, prompting a mad dash to colonize the surrounding planets. Parmian Scientists Lonn and Fischer, initially tried to keep news of the discovery under wraps. large quantities of Velium are taking the market by storm. Velium is a highly powerful mineral which can be manipulated to an energy source, a food source, or as an explosive. Though the initial reaction among the scientific community has been disbelief, the sudden frenzy has drawn historical parallels to the California gold rush of 1849. Three-quarters of the male population of Vela and its surrounding planets are new colonists. “Fortunes are being made in Vela!” stated one very excited colonist named Ehrling Hodges. “The atmosphere at Chaul, one of many colonies in the region has been energized!”. Natives to the region however were less thrilled. Dyakan’s a quiet alien race native to Vela has denounced the sudden overcrowding, and industrial behavior. We interviewed one Dyakan, a woman named Zetlan. She initially was reluctant to offer comment, but eventually stated that “these people (the colonists) are destroying the Dyakan peaceful way of life”. In spite of the intrusion, life goes on for both sides with no sign of stopping. Vela is indeed a sudden stimulus to a broken Pegasus Sector, which has endured decades of poverty. The first colonists to arrive were those from lands accessible by small sub space transports taking non traditional FTL driven crafts from neighboring Saurus, Regulus, and Indi star systems. Not long after, larger corporations like Boeing, SANSA, and KARI have staked claims on surrounding planets to begin efforts to control the market. Welcome to Sci Fi Simulator III. Although the game has not begun, these are decisions you will want to make by next wednesday! 2/14/2018. Discuss amongst yourselves and repost your character selection next to your name. There will be an official game thread. Also, as new players may continue to sign up, new character options may appear over the next week . So choose wisely. If you wish to defer or pass on choosing, simply say ##Pass. If you would like, the GM can assign you a character randomly as well, simply say ##Randomize. (Entertainer) 1 Health 2 Atk. Truss can spend a phase entertaining locals and thereby boosting morale +1. This may be done as many times as they want. Passive Ability: (Negative), Truss is a larger Golovian, an alien race known for its good natured attitude, and massive appetite. As a result, occasionally (10% chance), Golovians will -1 food, and go on a ridiculous eating frenzy. This can be prevented by placing him in the brig. (Mechanic) 2 Health 2 Atk. Lazlo is a skilled Mechanic. Twice per phase he may repair or restore 1 point back to something broken. For example if a Harvester is damaged, Lazlo may fix the Harvester and also begin repairs on something else. Passive Ability: (Positive) Lazlo owns his own Harvester, which allows the colony to begin with one. His Harvester counts as an advanced one which gathers +2 Food, +2 Fuel, or +2 Luxury. (Doctor) 4 Health 0 Atk. Tierney is a Cardiologist. Once per phase she may fully heal any injured NPC or Player Character. Passive Ability: (Negative) Tierney is in excellent health, but is also unable to walk. She must use a hover wheelchair and is not a suitable away team member. As a result the majority of her usage is spent within the colony. (Pilot) 2 Health, 3 Atk. Jaromir is great great grandson of the famous Branimir, a famous pilot of Ynbar. Once per phase, Jaromir can Pilot a fighter, a vehicle, or a larger spacecraft and it will recieve a +1 bonus to its attacks and its defense. Passive Ability: (Positive) Jaromir has his own Python fighter craft. (System Analyst) 3 Health 1 Atk. Oceana is a Linguist, and a Security Cyber specialist. Once per Phase Oceana may attempt to infiltrate any Operating System in range. Be advised unauthorized access can have severe consequences. Ocean can spend the phase protecting your Operating system instead giving it protection against infiltration up to Level II protocol. Passive Ability: (Negative) Oceana is highly susceptible to EMP and can be destroyed by energy weapons. (Politician of Navajo Nation, Presidential Candidate of New Colony) 2 Health, 2 Atk. Pakhwa has the support of the people. If selected as a character, he functions as a Tier II Presidential Candidate. Pakwha is beloved by colonists, and may choose to give an inspirational speech once per phase as an action. If he delivers a speech to the people, (roll a six sided dice, on a 5 or 6 the speech gains the colony +1 morale) Passive Abilities: (Positive) Pakhwa if elected as President provides the colony +1 food per phase, and +1 credits. (Geneticist) Uriah is a Scientist. His specialty is Genetics, Alien Genetics, and Cellular Studies. Once per phase Uriah may rush a science to its completion. Passive Ability: (Negative) has an NPC companion, Skirks, aka “the experiment”, a genetically modified Squirrel which can talk is known to cause mischief. Level 1 Techs - Uriah can rush and they will be researched at the end of a phase in addition to the regular research. Level 2 Techs - Can rush and will be completed in 1.5 phases instead of standard 2. Level 3 Techs - Can rush and will be completed in 2 phases instead of 3. (Mercenery) Health 4 Atk 6. Paz is a Gun Specialist and Soldier. His service with Mossad is known. Once per phase, Paz can use a personal cloaking device to go invisible and act as personal security. Passive Ability: (Positive) Is a beloved hero of Ynbar for restoring order after a recent uprising. As long as he is at the colony, he can prevent the game from ending due to 0 morale. (Politician) Health 1, Atk 1. Nicholai is a candidate for President. He has served in YnBar Congress for 16 years. Once per phase Nicholai may remove a corruption from the colony. Passive Ability: (Positive) If Elected as President, Nicholai provides a commercial bonus of +1 credits per phase to the colony. (Master Builder) Health 2, Atk 2. Plotnik is an Engineer, Architect and Builder. Once per phase Plotnik can rush the construction of any structure, and it will be completed immediately. (Exception: wonders). Passive Ability: (Negative) -1 Morale each time his ability is used due to overworked laborers. (Protector) Health 26 Atk 0. Sway has no physical body. Sway appears as a tiny dot of light or darkness, which can talk, and can enter into the computer and share its thoughts in the form of text. They float, and move around among the colony quickly and can act as surveillance as well. Sway has taken a liking to the colonists, and enjoys a symbiotic relationship with them. Once per phase, Sway may turn themself into an energy shield which can boost a ship, or act as personal defense shield. Sways health points cannot be restored other than by Dilithium Crystal absorption. Passive Ability: (Negative) EMP weapons can destroy or severely injure Sway. (Journalist) Health 1, Atk 1. Dantzler is a writer and reporter. Once per phase Dantlzer may submit an article to local news. Roll a dice, on a 4-6, the colony will gain +1 Morale. On a 1-3 the colony will lose 1 morale. Passive Ability: (Positive) Dantzler can understand almost all languages encountered at a 89% success rate. As the game goes on, new characters will come available and new players may join at any time. Reminder there are no hidden agendas, no hidden wincons, what you see is what you get. There may be additional backstory that surfaces as time goes on, but none of this will be private. I am President Roland the IV. YnBar is overpopulated. We are struggling economically. Although things have been peaceful for many years, we are still in need of new stimulus. You have been selected to help us create, govern, and maintain a New Ynbar colony. Our Astronomers have narrowed down our list of suitable options in this sector and beyond to give us a fighting chance at turning our fortunes around. There are some milestones we would like you to achieve but first, here are your options. Our Colonizer vessel is able to land, and functions as a Bio Dome. We have 11 Fuel to offer the ship, and you will have a Battleship to support you on your journey. Places our Astronomers believe we would be able to settle and found a New YnBar colony. Endevour3 - Continents, Ocean, Mountainous. Moderately Volcanic planet, Rich in metals. Low Oxygen, some vegetation. Will require the colony to initially/permanently live within a dome unless the planet is terraformed. (Be Advised Terraforming planets can only be done once, all attempts to Terraform a planet a second time will destroy that planet) Distance, 4 fuel. Existing colonies on Endeavour 3: None. Nearest neighbors, Turkish colony in Leonis System. 3. Eastermore - Frigid. Pine Forests, Pangea. Cold Winters, and Temperatures dangerous to life. In orbit around a very dull star. Rich in undersea minerals. Will require a dome most likely or an undersea submersible colony. Nearest Neighbors: DS12, a Space station operated by the Dutch. Distance 3 fuel. 4. Velan 6 - Temperate, Already Terraformed, Rich in Minerals, Populated. Continents. Already colonized but there is plenty of space for us. We won't be alone here. There are two other colonies on the planet already: Boeing has a corporate mine to extract Velium here. Most of the best mine deposits are claimed already by Boeing. The other faction here is a small Biotech company called Encarta. Settling here would get us a small stake in the new Velium rush, but we will definitely be starting way behind. Distance 2 Fuel. Step 3: Select what type of Supercomputer OS you would like. Wes: Non Predictive. Experimental. A new Supercomputer OS created by Skylon. This OS will require a charter at end of each phase. Its deep space scanners are extremely powerful. It is able to detect cloaked ships potentially. Wes is also equipped with Auto Translate for 99% of all known Alien and Humanoid communication. Step 4: Choose what you want to start out! Step 5: Elect a President! Someone has to lead this Colony. Any character can become President, some are just more predisposed to the position. President is able to Veto 1 peice of legislation per phase /// OR /// President may draw a Quarum Card (if applicable, unlocked at Tech Level 3). Webdip Simulator II Archive, for familiarity with how the game goes. I highly recommend that no one else picks a Presidential candidate because that just guarantees that one of us will have useless abilities. Also, God forbid someone choose the android. The android is never good news. 1. The Groombridge system (Endevour3) is at (1000, 900) on the map. 2. The Almagest system (Ventiia) is at (1000, 250). 3. 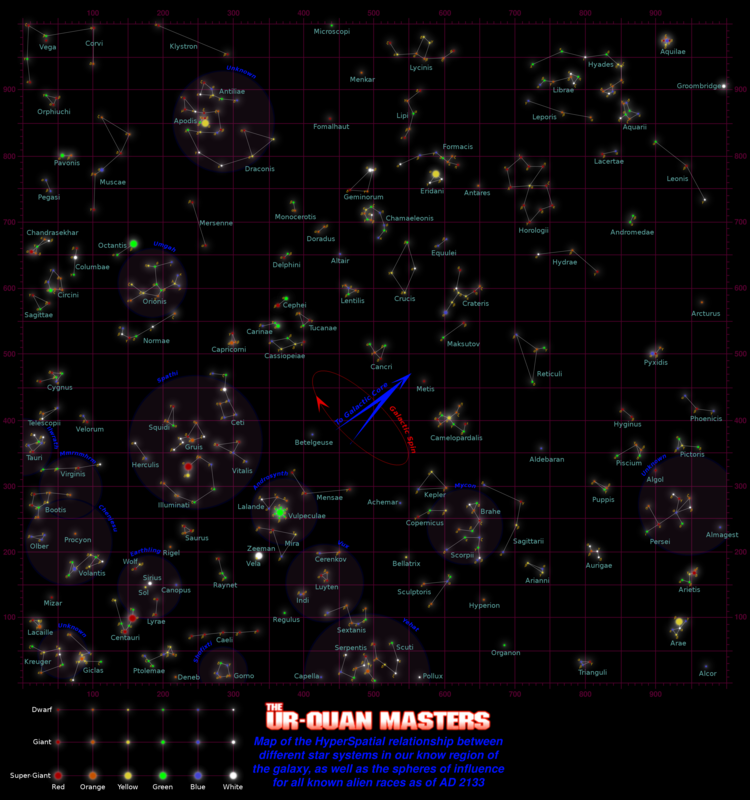 The Organan system (Eastermore) is at (700, 50). 4. The Vela system (Velan 6) is at (300, 200). ##CallGM What do the blue circles represent? This should really be the GM's job, so you're welcome. Endevour3- Seems like the more hospitable uninhabited planet. Plant a few Earth trees, and there'll be plenty of oxygen in no time. Ventiia- We don't want to share a planet with potentially manipulative or dangerous aliens, especially when the closest neighbor is North Korea. Eastermore- Completely unplayable until terraform, which if I recall correctly doesn't come until much later. Velan 6- Definitely don't want to share a planet with other human factions. That's what did us in last time. Brainbot served us well last time, and its independent decision-making always worked out for the best for the colony. This will really help us get started as a colony, especially since we have to remain within a dome. Commerce- We're pretty secluded relatively speaking so we shouldn't have much commerce until the mid-game. Warlord- We're not going to war right away, and again we're relatively secluded. Mining- We already have plenty of metal all around us. The last thing we need is 2 more steel. Research- 1 research really isn't all that much. Being able to set up a functioning colony is much more of a priority. ##CallGM Won't we starve immediately if we choose anything but the agriculture package, since we'd have 0 food? Let's admit it. He has much better President abilities than the other guy.